Today I welcome a guest to The Book Chook. Vanessa Levin is an Early Childhood Specialist with more than 18 years of experience working with young children and educators. Since 2001 Vanessa has provided the early childhood community with an invaluable resource through her popular and helpful website, Pre-K Pages. She is a leading expert on creating developmentally appropriate activities for young children with an emphasis on fun, hands-on learning. 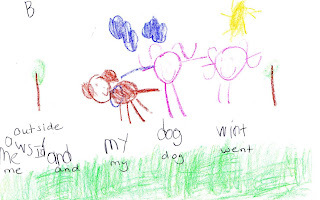 “Little kids can’t write, let alone write books!” This is often the reaction I get when other teachers discover that my students can not only write and spell at the tender ages of 4 and 5 years old, but they can do it well and in book format. This might come as a surprise for some, but the idea of writing books with young children is not a new one, it has just fallen by the wayside in the current high stakes testing culture of the U.S.
Children have background knowledge of how picture books work through their own experiences with them. Children can relate to book making more easily than they can to a single page of paper. It’s difficult to capture an entire story on only one sheet of paper. Teacher: Today we’re going to become authors. What do authors do? Student A: They write the words! Teacher: Yes, they do. Let’s name some of our favorite authors. The students listed some of their favorite authors like David Shannon, Lois Ehlert, and Eric Carle. Teacher: Do you think you can be authors too? Teacher: Why don’t you think you can be authors? Student B: Because we can’t write! Student C: I can’t read! Student D: My brother can write books because he’s 10 and he knows how to write. Based on the feedback the children provide each year, I create a simple game plan to get them to believe in themselves and start writing. I begin with modeling how to make a few books of my own while they watch and help me brainstorm through the process. I read the book No David! by David Shannon and we discuss how David Shannon writes about things he knows or experiences he has had. We talk about the importance of illustrations and how they give our words meaning. Most of all we discuss our audience and our purpose for writing. If you’re looking for a way to inspire your children or students to become authors I highly recommend About the Authors by Katie Wood Ray and her companion book Already Ready, geared specifically for preschool aged children. These books are fantastic tools for understanding and supporting the writing process with very young children. Thanks so much Vanessa! I hope readers will check out Vanessa’s website which has a wealth of information that’s useful to parents and teachers, including detailed directions, videos to explain things, themes and printables. I love this idea! Thank you for sharing your process of engaging kids and "luring" them in to be authors. Vanessa. Not only can kids write books, they love doing it! Great ideas. Great ideas, I agree, Terry! Agreed, Kelly! I am positive we are all driven to communicate, and it's wonderful when kids get that click and realize they can reach out to an audience of their choice through book making. I love this! My kids and I "made" books the other day. My son's was all illustrated as he can't yet write and it didn't occur to me to use this as a way to encourage his writing skills (he's 5). Lots of kids who've been read to and surrounded by print from an early age, will try to write their own stories, Kristin, especially if they see their parents writing, see it as a valued activity and are encouraged to do so. 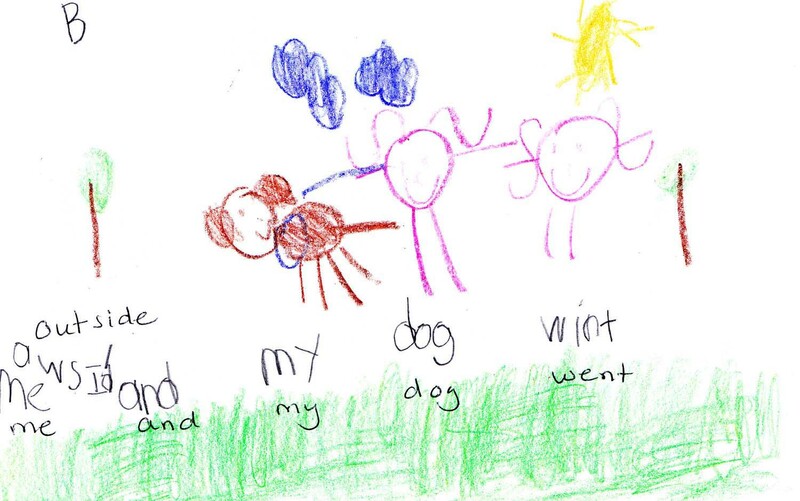 They'll start perhaps with some scribbles, move through stages where they pop a few letters in, or invent spellings, and then emerge when they are developmentally ready in a stage where they approximate real writing. Very exciting! LOVE this post - kids naturally want to become writers and artists - all they need is just a little direction and positive reinforcement! Lots more posts about bookmaking coming over the next weeks, thinkmaya, that I'm sure you'll enjoy too!